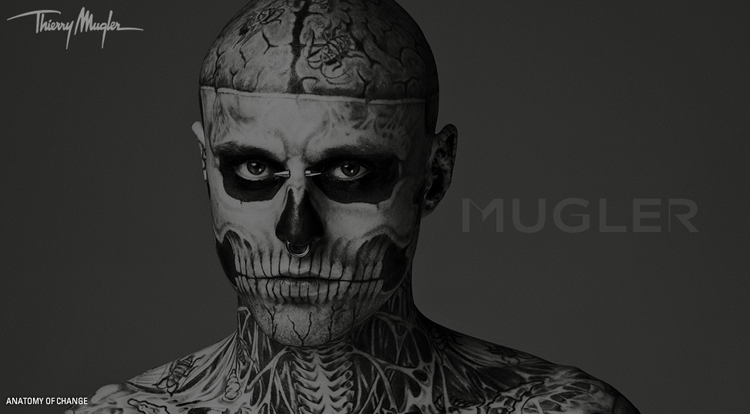 For the launch of his premier Mugler collection, men’s ready to wear fall winter 2011-12, creative director Nicola Formichetti will debut an exclusive web-only film following runway show at Paris Men’s Fashion Week. Having enlisted Lady Gaga as Musical Director for the show, the film is set to a never-before-heard track of the artist Scheiße “Born this way” feat. Rick Genest﻿ (Zombie Boy). Directed by Mariano Vivanco, the film was shot in Montreal and features looks from the Mugler men’s ready-to-wear Fall/Winter 2011/12 collection.